Thanks to David Prashker I have added another giant hand in my "Giant Hands Around The World" collection. 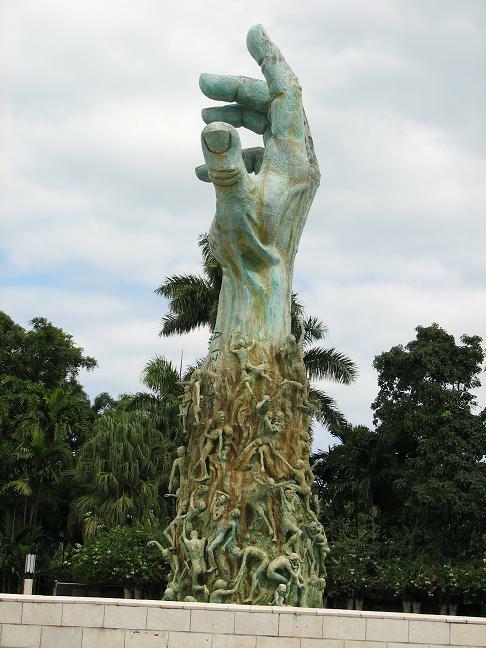 This giant hand is at the Holocaust Memorial at South Miami Beach, Florida. 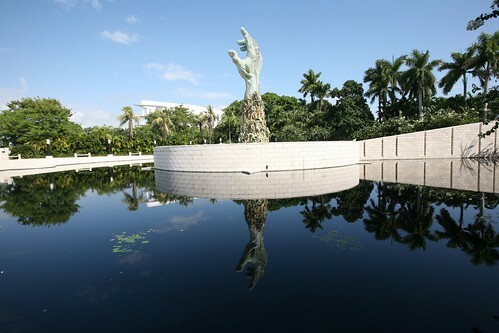 The 12.8 metres (42 ft.) high sculpture set in the middle of a pool, was designed by Kenneth Treister and is centrepiece of the memorial. Cast in bronze, the outstretched hand has several human figures clinging to it and and to each other.